Do not forget the Great Port Wine Festival in Copenhagen on Monday 5th of November. It is a great experience! Hope to see you all there. 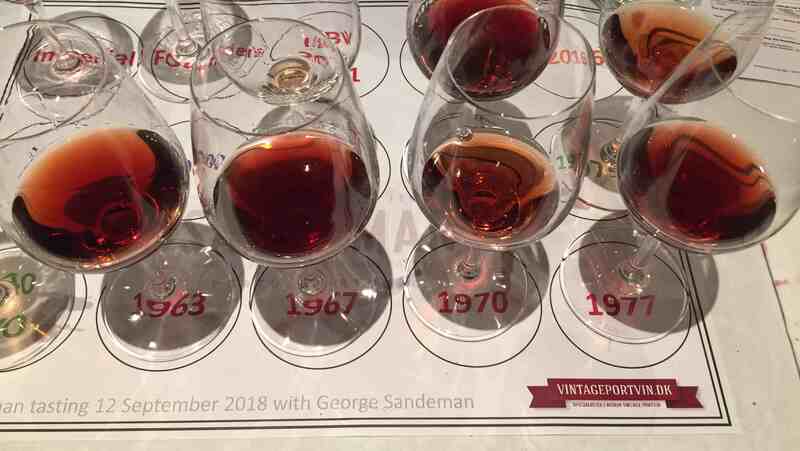 This entry was posted in Wine tasting and tagged Port Wine Festival on October 26, 2018 by Stefan. 10, 20 and 40 years Tawny, LBV 2011, Founders Reserve and Imperial Reserve Tawny. Two brilliant and exclusive tastings guided by George. It was very interesting to hear his analysis of the development of Sandman’s Vintage Ports over the decades. 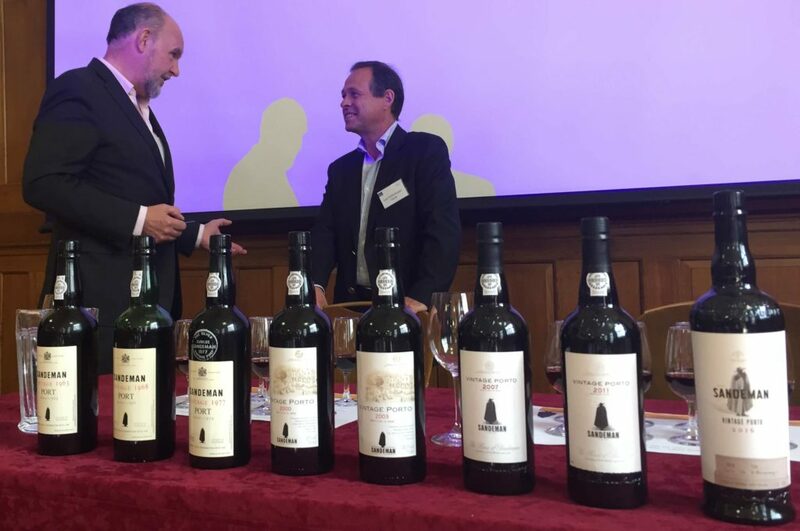 These tastings showed that Sandeman is again making top quality Vintage Ports. It will be interesting to follow the latest Vintages from 2007, 2011 and 2016 and see if they develop into the same kind of fantastic wines as for instance the 1963 and 1970. We are very thankful for the opportunities to taking part in these two wonderful tastings. Tasting notes are on our Sandeman page. 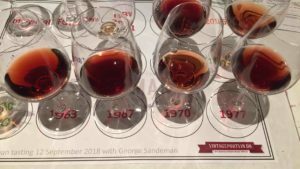 This entry was posted in Tasted Vintage Port and tagged George Sandeman, Luís Sottomayor, Sandeman, The Big Fortified Tasting on October 7, 2018 by Stefan.